Brexit up in the air - deal, no deal, no Brexit? 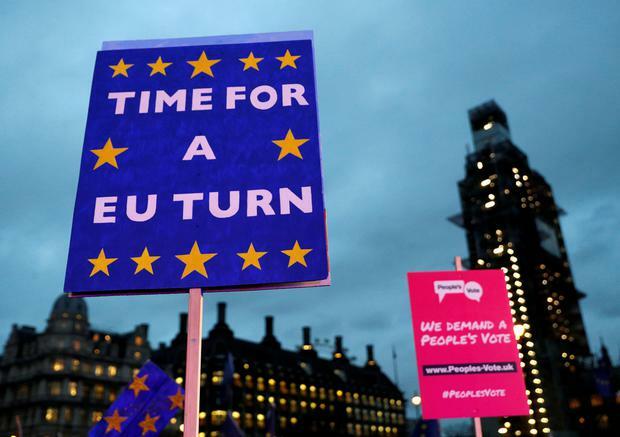 At one of the most important junctures for the country in at least a generation, British politics was at fever pitch and, nearly three years since the 2016 EU membership referendum, it was still unclear how, when or if Brexit will ever take place. With May humiliated and weakened, ministers lined up to insist she was still in charge and to deny a reported plot to demand she name a date to leave office at a cabinet meeting at 1000 GMT on Monday. "Time's up, Theresa," Rupert Murdoch's Sun newspaper said in a front page editorial. It said her one chance of getting the deal approved by parliament was to name a date for her departure. 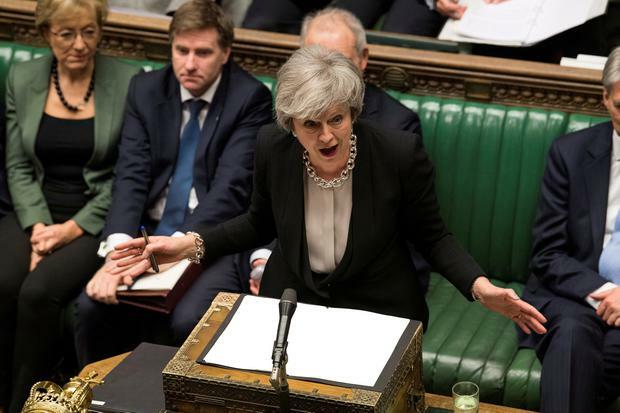 "I hope that the cabinet will tell the prime minister the game is up," Andrew Bridgen, a Conservative lawmaker who supports Brexit, told Sky News. "The prime minister does not have the confidence of the parliamentary party. She clearly doesn't have the confidence of the cabinet and she certainly doesn't have the confidence of our members out there in the country," he said. Ministers will discuss at 0900 GMT how to address parliament's attempts to take control of Brexit before a meeting of May's cabinet team, a government source said. The United Kingdom, which voted 52-48 percent to leave the EU in the referendum, remains deeply divided over Brexit. 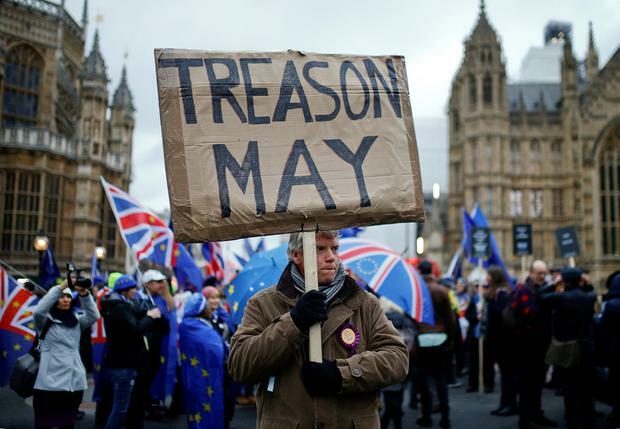 Just 24 hours after hundreds of thousands of people marched through London on Saturday to demand another referendum, May called rebel lawmakers to her Chequers residence on Sunday in an attempt to find a way to break the deadlock. "The meeting discussed a range of issues, including whether there is sufficient support in the Commons to bring back a meaningful vote (for her deal) this week," a spokesman for May's Downing Street office said. Boris Johnson, Jacob Rees-Mogg and Steve Baker attended along with ministers David Lidington and Michael Gove who had been reportedly lined up as caretaker prime ministers. They were forced on Sunday to deny they wanted May's job. 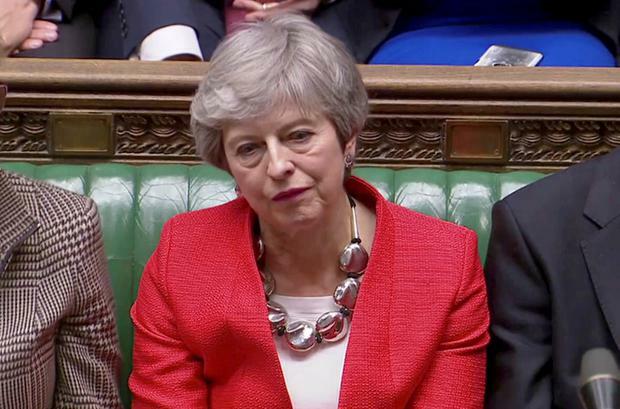 May was told by Brexiteers at the meeting she must set out a timetable to leave office if she wants to get her deal ratified, Buzzfeed reporter Alex Wickham said on Twitter. May told the lawmakers she would quit if they voted for her twice-defeated European Union divorce deal, ITV news said. The Sunday Times reported 11 unidentified ministers agreed May should stand down, warning she has become a toxic and erratic figure whose judgment has "gone haywire". Brexit had been due to happen on March 29 before May secured a delay in talks with the EU. Now a departure date of May 22 will apply if parliament passes May's deal. 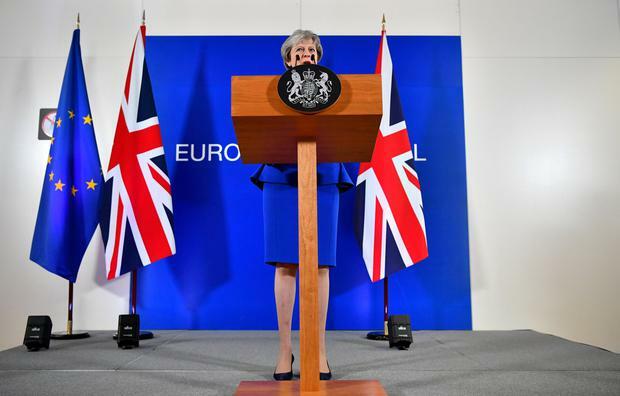 If she fails, Britain will have until April 12 to offer a new plan or decide to leave without a treaty to smooth the transition and avoid an economic shock.